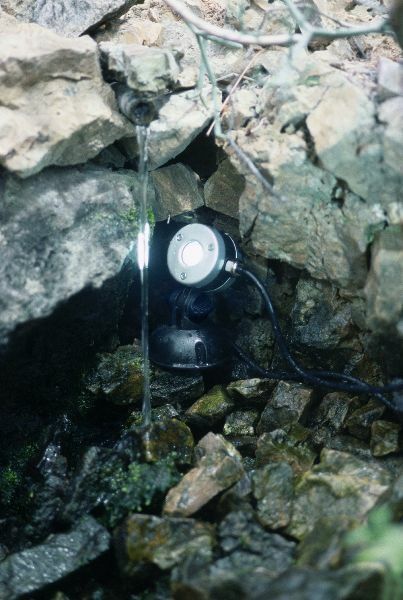 The OASE Lunaqua Mini LED spotlights are supplied as a set of 3 high quality, fully submersible lights for use in any outdoor location, pond or water feature. 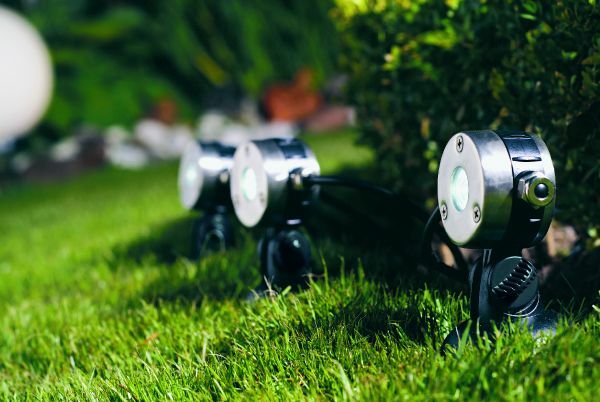 Each light is finished in Stainless Steel detail and their compact design allows these to be easily hidden from view when illuminating plant borders, water features or pond details. 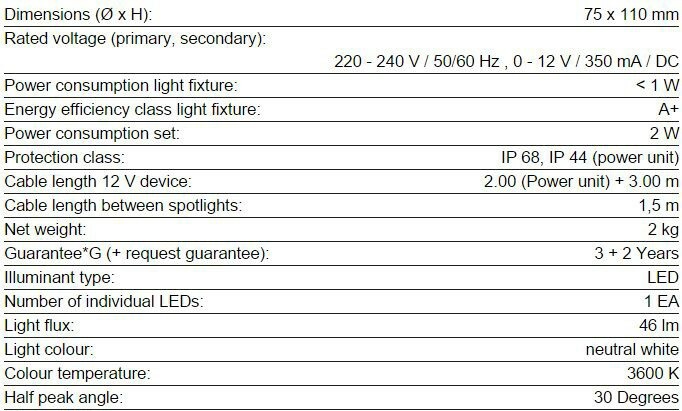 Each Lunaqua Mini contains a highly efficient 1 Watt LED and Water Garden offer these in a choice of Warm White or Cool white LED options. 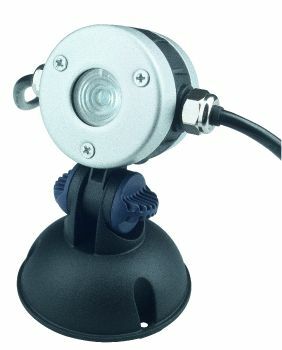 The spotlight head is angular adjustable and also features a weighted base for extra stability when submersed underwater. 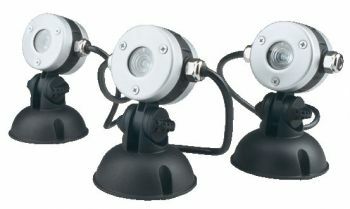 The Lunaqua Mini LED Spotlight Set 3 carries an impressive 5 Year OASE Guarantee. The 3 spotlights are daisy-chained together with 1.5 metres of low voltage cable between each spotlight, leading to an additional 3 metres of 12V cable to the supplied weatherproof transformer. The transformer is supplied with 2 metres of mains 230V cable to the wiring point. 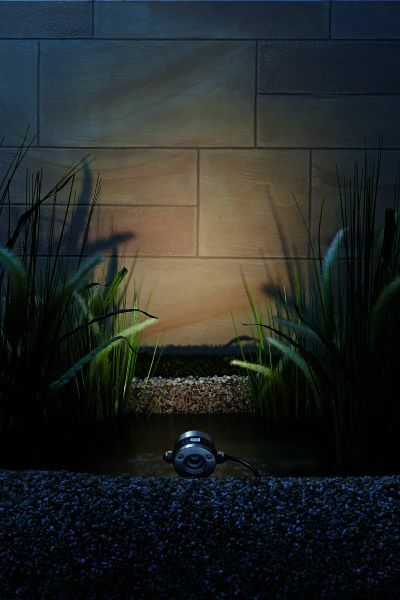 If more powerful illumination is required, Water Garden recommend the OASE Lunaqua Maxi 3 Watt Spotlights which are also finished in stylish Stainless Steel detailing.